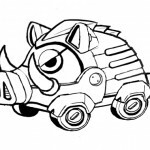 Being Friday, Sega continues what they promised last week, issuing out yet another round of concept art to hype up Sonic the Hedgehog 4: Episode 2. Doing what they did last time, we get the deluxe version of concept art for one with both the black and white and color sketches, while the Facebook exclusive image only comes in the final colored form. 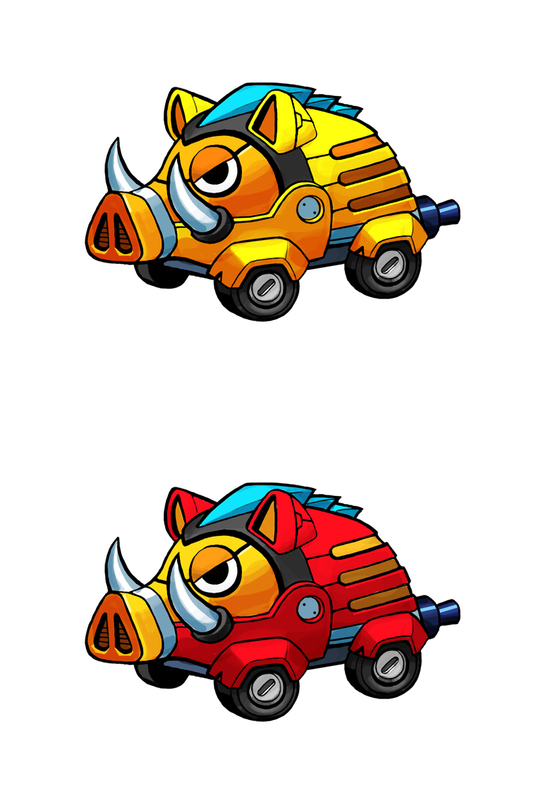 The first featured is the multicolored Fullboar, who will certainly fulfill your pig-badnik needs. 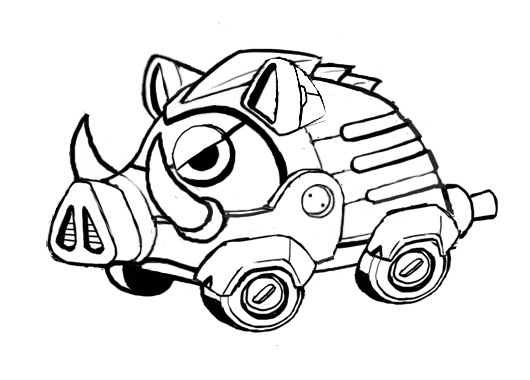 The other is the Facebook exclusive “Steelion,” whose name is all sorts of pun. Normally I’d go into super commentary mode, but there isn’t much to say except, hey, they are new enemies. See you next week! Nintendo has recently released demos for the eShop on Nintendo 3DS which primarily consist of retail released games, this also means as of Thursday a release for the demo of the hotly anticipated Sonic the Hedgehog title coming out in February. 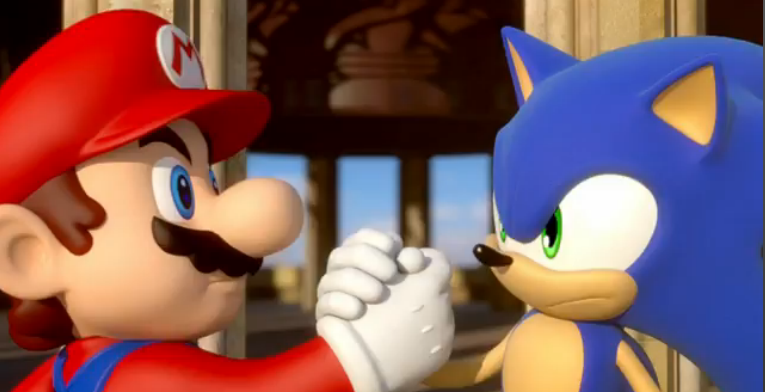 That’s right, the 3DS edition of Mario and Sonic at the London 2012 Olympic Games. Hold your applause please. 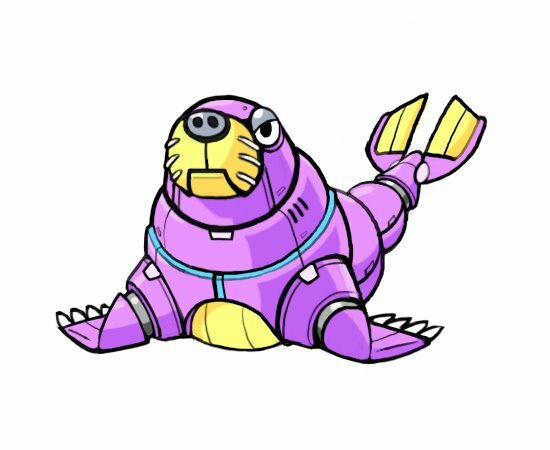 Keep in mind that each downloaded demo from the eShop has a limit of thirty uses. 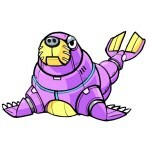 Look through the Game Demos section of the store, or search for the game to download the game to the 3DS system. If you rather hold out for the full version, or don’t live in the US, but still carry an interest, be sure to hit the jump for impressions. Click play to get a rolling start. Did you hear that Daytona USA came out on Xbox Live Arcade and Playstation Network? You may have heard from us several times that it came out last year, but if you’re still not convinced, perhaps the vocalist for the songs may persuade your interest? Sega’s US branch uploaded a 10 minute trailer on their YouTube account with Takenobu Mitsuyoshi detailing the Karaoke Mode for the digital download release, which allows you to have instrumental versions of songs play as you drive around the track (Or have the game run the track for you) and display the lyrics on screen (Which he demonstrates as ‘loudly’ as possible.) As an additional bonus, Mitsuyoshi-san also sings “Lets Go Away” for the latter half of the trailer. Despite Sonic 4 being readily available to iOS and Windows Phone 7 users for quite some time now, it seems Sega has finally decided that those of the Android persuasion should be so fortunate to finally get Sonic 4: Episode 1 for general consumption, launching on the Android Marketplace for only $3.99/£2.56/€3.05. Actually, this version of Sonic 4 is once again an oddity compared to the others. 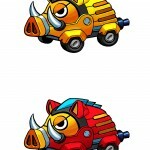 Like its mobile brethren, it shares the same stages. That’s right, that means everyone’s favorite minecart level and 100,000 point pinball challenge are back. It also includes the console version’s overworld, though in a much more static variety. Curiously enough, the game also uses the graphical assets of the iPad version, which makes Sonic and his environs look more detailed. A word of caution for those of you with tinfoil hats: Sonic 4, for some reason, requires permissions to have access to your phone number, potentially knowing who you’re calling. Why a game of all things would need this is beyond us, but we are guessing it may have something to do with a potential phone database where Sonic Brand Manager Ken Balough will personally call you to tell you about Sonic 4: Episode 2. Insider sources! 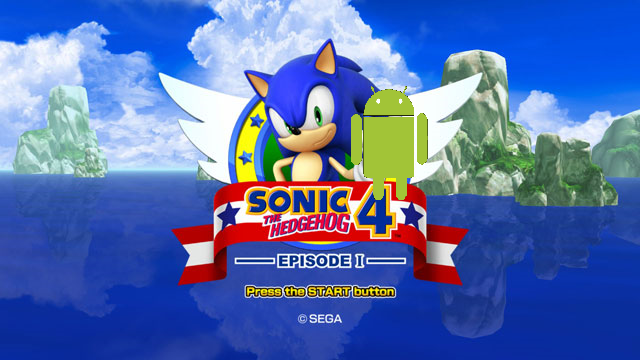 Despite Sonic 4 being readily available to iOS and Windows Phone 7 users for quite some time now, it seems Sega has finally decided that those of the Android persuasion should be so fortunate to finally get Sonic 4: Episode 1 on for general consumption, launching on the Android Marketplace for only $3.99/£2.56/€3.05. A word of caution for those of you with tinfoil hats: Sonic 4, for some reason, requires permissions to have access to your phone number, potentially knowing who you’re calling. Why a game of all things would need this is beyond us, but we are guessing it may have something to do with a potential phone database where Sonic Brand Manager Ken Balough will personally call you to tell you about Sonic 4: Episode 2. Insider sources, man! The American government recently made an attempt to enact rules to regulate protection of intellectual properties and to take down piracy. Thanks to the millions of people who shared their anger for overbearing protection and angry high school kids cheating on their homework, both the SOPA and PIPA bills have been suspended for reconsideration. What great timing for this, and the re-release of Sonic CD for PC platforms via Steam, as it lets us recall an incident as early as 1993 during the US Senate hearings for violent video games. Sony’s official U.S. PlayStation blog revealed that Sonic CD boomed past the competition and was the top purchased digital game on the PlayStation Store for the last month of 2011. Given the cult classic status it has amongst Sonic fans, seeing it bust out the gate strong is always a pleasant sight, though its feeling of familiarity with small enhancements for this HD age to give it a breath of fresh air certainly left us smiling. 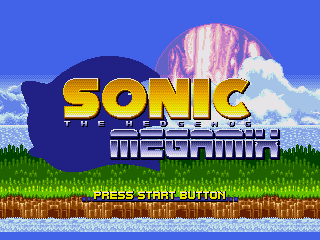 The other story is that it no doubt shows success for Christian “The Taxman” Whitehead’s Retro Engine, utilized to power the game and all its modifications, and more importantly sends a strong message to Sega that demand is out there and there is benefit to using the engine in not only new Sonic games, but various new titles in general given the engine’s versatility. Congratulations, Taxman! If you’ve not gone and purchased Sonic CD or spread the word to friends who enjoy a quirky platformer, what are you waiting for? 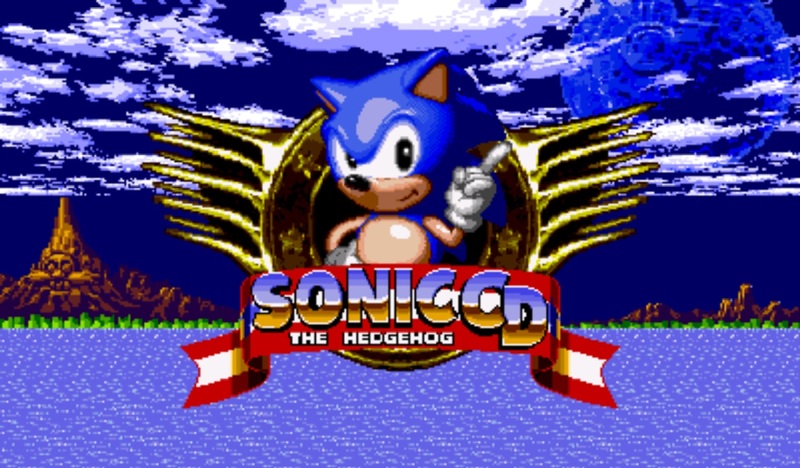 We’ll even GIVE you a copy of Sonic CD on Steam if you have a nice tale on how you got someone to play Sonic CD! The other story is that it no doubt shows success for Christian “The Taxman” Whitehead’s Retro Engine, utilized to power the game and all its modifications and more importantly sends a strong message to Sega that demand is out there and there is benefit to using the engine in not only new Sonic games, but various new titles in general given the engine’s versatility. Congratulations, Taxman!